I choose the Chickadee because of its beauty and the feathers on its head make it look like a hat! Its call is unique. The Chickadee’s feathers look so soft and delicate. I think their tail feathers are very pretty. 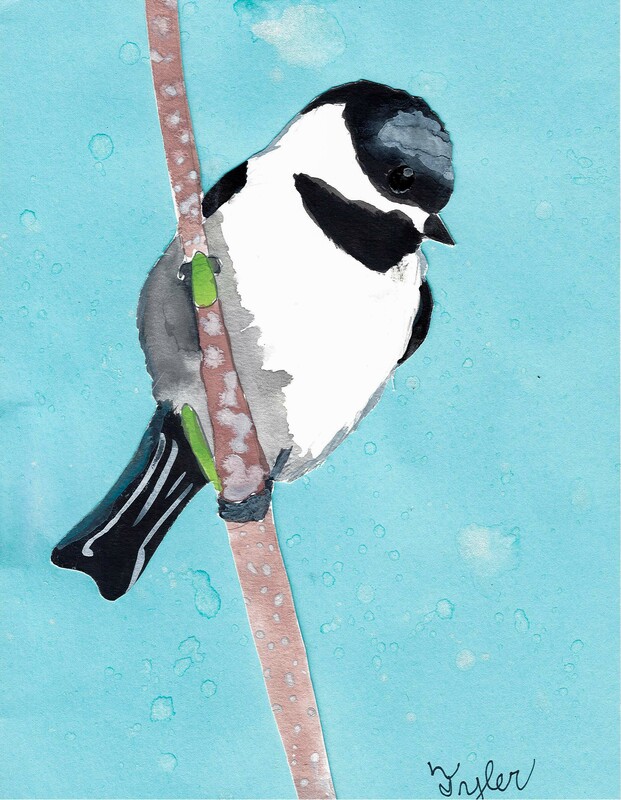 Some think the Chickadee is a plain bird but I think it’s beautiful! I find American kestrels to be an interesting bird of prey. They are very cute looking and the colors on them are simply beautiful. Falcons are among my favorite birds because of their fascinating design and behavior. 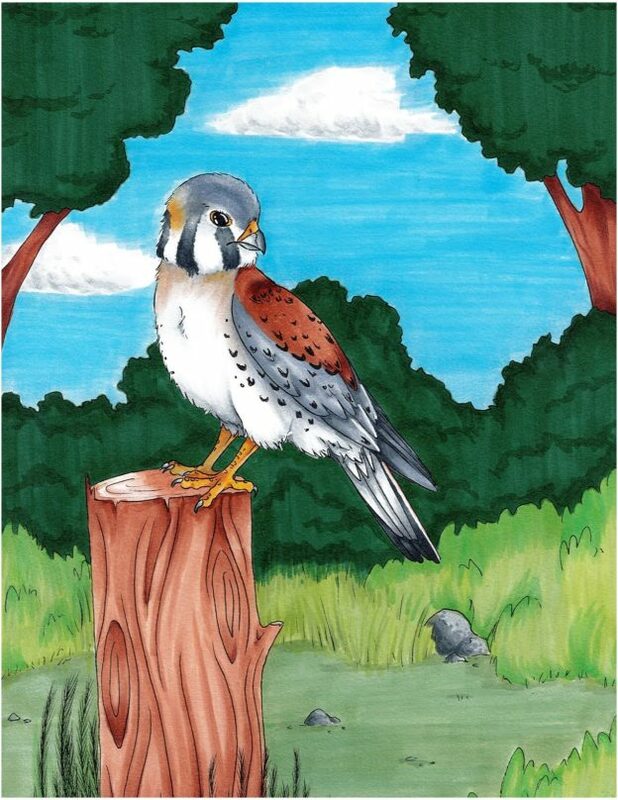 I drew this kestrel in a place that it might commonly be seen. 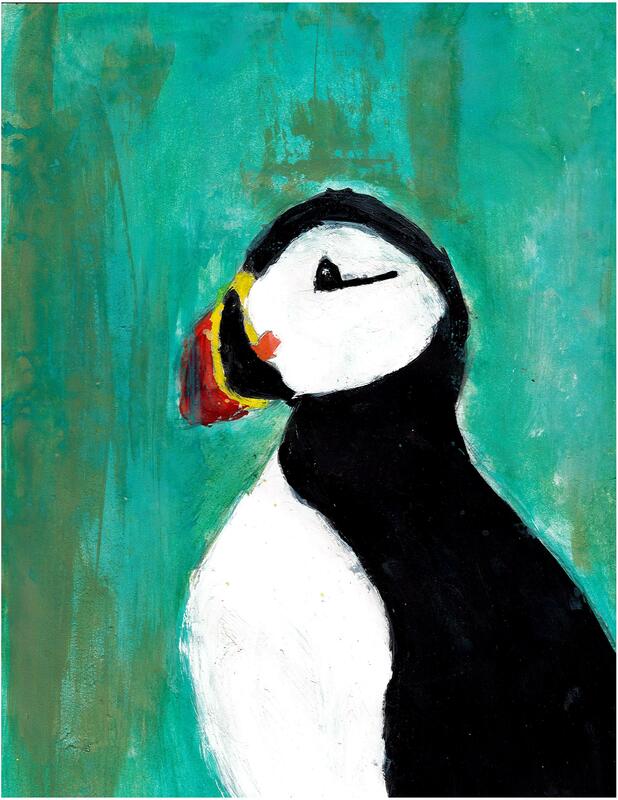 I tried to paint the puffin to show that he is alive – do you see the sparkle in his eye? This is my favorite bird because his beak is different than other birds. 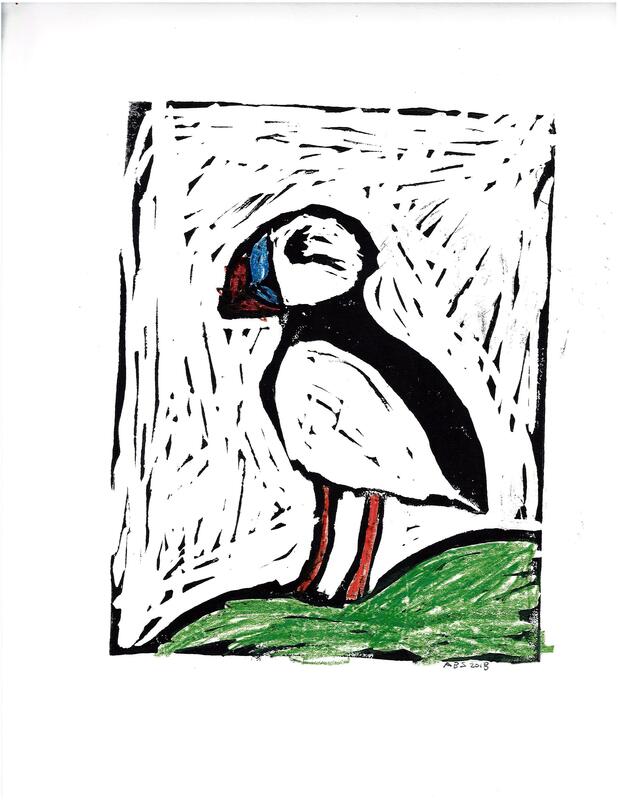 This entry was posted in Taking Flight: Juried Youth Art Exhibition and tagged American Krestrel, Black-capped chickadee, Puffin, Taking Flight 2018, Taking Flight Artwork on November 16, 2018 by Sean K..